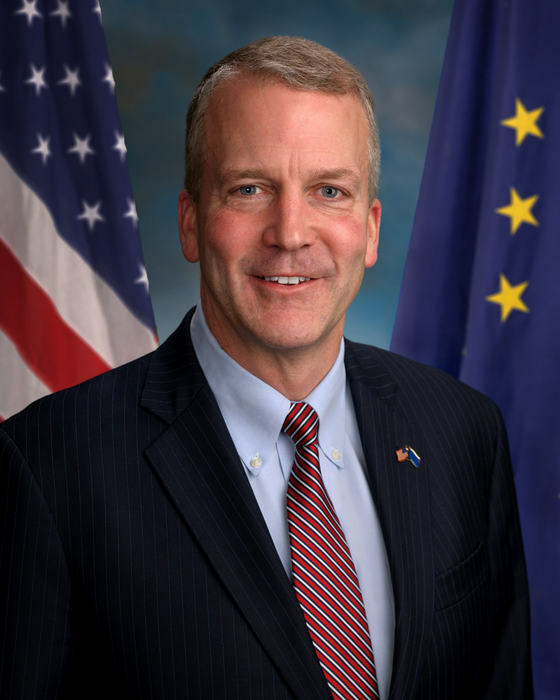 Dan Sullivan was sworn in as Alaska’s eighth U.S. Senator on January 6, 2015. Prior to the Senate, Sullivan served as Alaska’s Attorney General and Commissioner of Natural Resources. Sullivan served in the Bush administration as the U.S. Assistant Secretary of State for Economic, Energy, and Business under Secretary of State Condoleezza Rice, with a focus on fighting terrorist financing, and implementing policies relating to international energy, economics and trade. Sullivan also served as a Director in the International Economics Directorate of the National Security Council staff at the White House. Sullivan is a colonel in the U.S. Marine Corps Reserve and over the past 25 years has served in a variety of command and staff billets on active duty and in the reserves. He has deployed to the Middle East, Afghanistan and the Asia Pacific. Sullivan earned a B.A. in Economics from Harvard University and a joint law and Master of Science in Foreign Service from Georgetown University. Dan and his wife Julie Fate Sullivan have three daughters.